Sarah is the editor of Simmer and Zest. She likes learning about the ins and outs of food and its preparation as well as sharing it on her blog. Gluten free diets don’t have to limit your pantry. Gluten free is a lifestyle choice that many people have made, and a necessary one for those that have Celiac Disease or are Coeliacs. Gluten refers to the proteins that can be found in rye, barley, wheat, and several other types of grains and flours. It can also be found in many other food types such as cereal, bread, pasta, food coloring and salad dressings. While many items do contain gluten, there are healthy and tasty alternatives available, especially for Coeliacs. Coeliac Disease is when an adverse reaction to gluten, and foods containing gluten, occurs. The small intestine often becomes inflamed, and nutrients are unable to be absorbed. It is recognized to be an autoimmune disease, and patients have it for the remainder of their lifetime. The sensitivity formed with gluten can be addressed through healthy and gluten-free alternatives. Your diet doesn’t have to be limited or suffer just because you need gluten free items. Many replacement foods taste the same if not better! There are tons of gluten free recipes online. You can stock your pantry with items, such as organic pancake mix, Fit Peanut Butter powder, coconut flour, multi-seed bread mix, golden gran sugar and cacao powder. Others may include gluten free plain flour, dough mix, gluten free baking soda, olive oil spray, dark and light bread mix, apple cider vinegar, mayonnaise, and many other items you can find here. Gluten does not have to be restrictive. There are many popular options available for just about any type of ingredient and food item. There is good news for wine lovers because most wine is gluten free! Since wine is created from grapes, which contain no gluten, many brands and types of wine are safe to consume. Always read the label first, and if you are unsure, you can ask or choose a different kind. Certain ingredients used in the final creation of wine can contain gluten, so use caution. 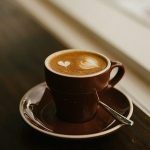 Coffee is another household staple, and there are types and brands of gluten free coffee, especially those that don’t contain any flavoring. Cross-contamination during the coffee process can sometimes introduce gluten. Plain coffee is generally gluten free, but again, read the label carefully or search for a well-known brand that is gluten free. Adding creamer and sugar can also increase the risks of gluten, so consider gluten free alternatives. Millions of people across the globe have adapted to a gluten free lifestyle. Whether it is personal preference or due to medical reasons, gluten free can help your system operate better without any adverse effects. There are thousands of replacement items available including staples such as sugar, flour, dressings, and many others. Many restaurants also offer gluten free menu items. If you suffer from the Coeliac disease, keep in mind that utensils can be cross contaminated if used in regular flour and then used to create gluten free dishes. Specify to any restaurant or household member that this can be detrimental to your health, and keep the items separate. Gluten free is a healthy life change. From everything to bread, pasta, meat, fish, and even pizzas, there are gluten free options available to you. Stores and restaurants across many countries have jumped on board and now offer gluten free items to those that are living this healthy lifestyle. If you are traveling, you can usually find lists of stress and restaurants near your destination that offer these items so you can continue your gluten free life wherever you go. Bio: Sarah is the editor of Simmer and Zest. She likes learning about the ins and outs of food and its preparation as well as sharing it on her blog.